During the Franco-British summit meeting of January 31, 2014, Jean-Yves Le Drian and his British counterpart Philip Hammond signed a number of agreements allowing immediate implementation of major defense cooperation programs planned by the two countries. It was a new step in the implementation of the Lancaster House treaty. 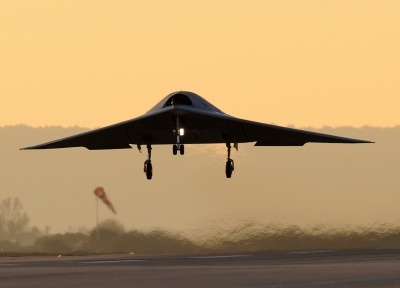 On Tuesday 15 July 2014 at the Farnborough air show, Jean-Yves Le Drian will sign the Franco-British Future Combat Air System Demonstration Program (FCAS DP) cooperative agreement. This agreement sets out the terms of cooperation on the preparations for the launch of a combat drone (UCAV) demonstration program in 2016. It opens an unprecedented degree of cooperation with the British on the future of Europe’s combat aviation. Dassault Aviation, BAE Systems, Thales, Selex, Snecma and Rolls-Royce have been involved in this project, from preparatory studies to the feasibility phase. The SCALP-EG / Storm Shadow cruise missile program is already the subject of industrial cooperation between France and the United Kingdom. Ministers will sign the agreement for the exchange of the results of studies contracted by France and the UK to prepare jointly for the modernizations and upgrade of the renovation SCALP-EG / Storm Shadow missiles. The French statement also added that the FCAS “notably prefigures the future combat drone,” which is a welcome confirmation of the project’s ultimate goal. The MoU officially designates it as a “demonstration program,” which has led some to wonder whether this is a real effort, or simply lip-service to a political goal).